Affiliate Assistant Professor, UCLA Department of Bioengineering (Biomedical Signal & Imaging Subfield). 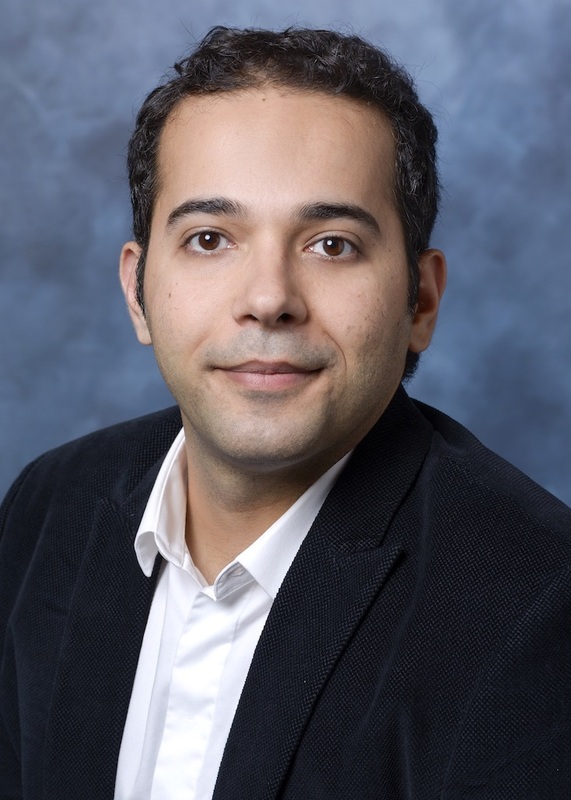 Behzad Sharif directs the TIM Lab at Cedars-Sinai Biomedical Imaging Research Institute. He has more than a decade of research experience and track-record in imaging science, magnetic resonance imaging (MRI), translational cardiovascular imaging, and multi-dimensional signal processing. He has received the 2013 Early Career Award from the Society for Cardiovascular Magnetic Resonance, a National Scientist Career Development Award from the American Heart Association, and a K99/R00 Pathway to Independence Award from the NIH. Dr. Sharif obtained his PhD degree in Electrical Engineering with a focus on computational medical imaging and magnetic resonance imaging from the Department of ECE, University of Illinois at Urbana-Champaign, in 2010 under Prof. Yoram Bresler and co-advised by Prof. Zhi-Pei Liang. He also trained as an American Heart Association postdoctoral fellow (2010-2013) with Drs. Debiao Li, PhD, and Daniel S. Berman, MD, at Cedars-Sinai/UCLA. In a broad sense, the research in Dr. Sharif's lab applies a multi-disciplinary approach for development of innovative data acquisition and image reconstruction techniques — involving MR physics, signal processing, computational engineering and machine learning — to devise advanced MRI methods that achieve unprecedented precision for dynamic visualization and quantification of microcirculation in the cardiovascular system, all geared towards addressing ongoing challenges in non-invasive cardiology. His prior collaborative work has involved development of new methods for: eliminating confounding image artifacts in perfusion MRI, new deep-learning methods for automatic analysis of MRI datasets, spatio-temporal MRI with compressed sensing acceleration, T1 mapping applied to patients with non-obstructive coronary disease, high-resolution “real time” cardiac MRI, four-dimensional MR coronary angiography, and oxygen-sensitive 3D cardiac MRI. Last Updated: January 21, 2018. Copyright Behzad Sharif.